- Size: According to customers' specific requirements. 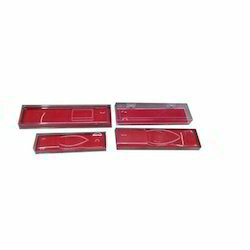 Color: AS PER OUR STOCK WE WILL SUPLLY ACCORDING TO CUSTOMER REQUIREMENT AND WISH. 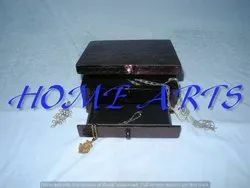 The big size of the Box fits in Long Chains / Mangalsutras / Rani Haar and other Long Chains / Sets. We are involved in manufacturing and supplying premium quality Chain Jewellery Box for our reliable customers. We sell high quality jewel boxes for gift packing of jewels such as necklace sets, chains earrings etc. With the support of experts, we have been proficient to provide our valued patrons the best quality range of Mangalsutra Box / Chain Box. This kind of Chain Boxes is very fashionable in their looks. We offer four different colors in this kind of chain box, they are, yellow, brown, maroon and chocolate color. These boxes are very trendy and many of our clients choose these boxes that are into fashion now. We offer our clients with a vast range of these boxes in various size, color and shapes. Red and White coloured jewellery boxes for chains. Comes with matching ribbon on top. With the support of experts, we have been proficient to provide our valued patrons the best quality range of Chain Box.